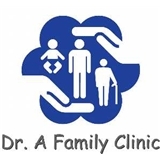 Dr A Family Clinic (Shenandoah) - Book Appointment Online! Every visit, he is so personal and professional. Thank you Dr.A!